The soft light of sunrise illuminates the tufa formations in Mono Lake in California, USA. 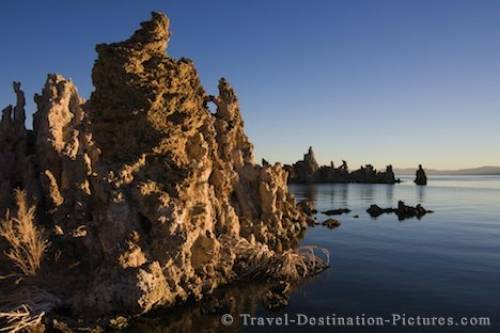 Another hot spot for early birds is Mono Lake in California. During sunrise the tufa formations in the lake are illuminated dramatically, bringing out the full beauty of this eastern sierra lake. Mono Lake in California, USA.